What are the cheapest cities to visit in Central America? The following travel cost rankings for cities in Central America are calculated based on the travel budgets of real travelers. Also referred to as a Travel Cost Index, or a Backpacker Index, the cities below are in order from least to most expensive by their average daily travel price, per person, per day. Before a disastrous earthquake in 1773, Antigua was the colonial capital of Guatemala. 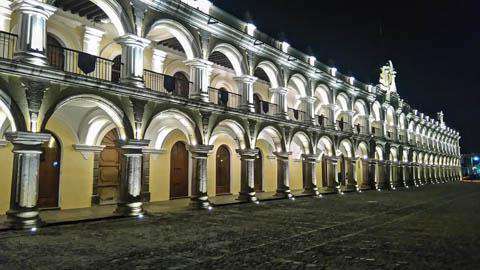 For 200 years it had reigned as so and today shows remnants of its glorious past with Spanish colonial buildings and other architectural landmarks still standing. Due to this large amount of preserved architecture, Antigua was named a UNESCO World Heritage Site and is now the most touristed city of Guatemala. Tamarindo is a small beach town in the Guanacaste province of Costa Rica on the Pacific Coast. This town is usually sought out by surfers, fishers, couples, and families. There are delicious restaurants, beautiful beaches, and friendly Tico's and Tica's (local Costa Rican nicknames) everywhere. 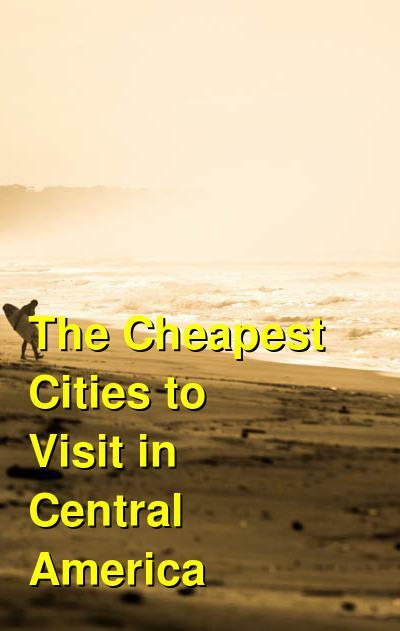 The most affordable cities for travel in Central America are currently San Juan del Sur (Nicaragua), Managua (Nicaragua), and Isla de Ometepe (Nicaragua). Central America is a beautiful and spectacular land with a vast array of geographic features, thriving indigenous cultures, and countless places to visit. For only making up 0.1% of the Earth's surface, Central America is home to 7% of the world's biodiversity, so it's no surprise that the region's countries have been pioneers in ecotourism. In fact, Costa Rica is often considered the most biodiverse country on Earth! The sheer variety of Central America's people, landscapes, cuisine, and wildlife is enough to warrant the region a place on every traveler's bucket list. Not only is the seven-country region home to an incredible level of biodiversity, it also possesses a variety of unique landscapes ranging from palm-studded desert isles to volcanic moonscapes and dense, unexplored jungles. Central America is an underrated haven for nature lovers. From the beautiful reefs off the coasts of Belize and Honduras to the cloud forests of Nicaragua and Costa Rica to the massive volcanoes of Guatemala, there is something for everybody. White sands, crystalline waters, and endless sun... Mother Nature has really outdone herself! Central America also has its share of bustling cosmopolitan hubs! Panama City, for example, offers anything a modern traveler could desire, from chic clubs and shopping to trendy restaurants and even a thriving craft beer scene! Central America is thankfully extremely cheap. If you use chicken buses, stay in hostels, eat in comedors, do your own laundry, and limit your drinking, you could easily live on less than fifteen dollars a day. If you take liberties with eating at good restaurants, drinking plenty of alcohol, renting mopeds, and other activities then you may double that value. Central America is at about the same spending level as South and Southeast Asia, and for North and South Americans the reduced flight cost makes the overall travel far cheaper than other regions of the world. The resort areas of Belize and Costa Rica are the most expensive places to visit in the region, although even there prices tend to be low by North American or European standards. San Pedro and Ambergris Caye, Belize's most popular tourist island, Panama City, Central America's most vibrant and interesting city and Antigua, an endlessly charming small and touristy colonial town in Guatemala are definitely more expensive destination. Guanacaste, found in the northwest region of the country home to most of the best modern beach resorts is also not a budget-friendly city in Central America. In fact, Central America is popular with backpackers from around the world all year round, but during the dry season from November through April it's also filled with sun-seeking tourists from North America as well as Europe.Roatan Island is the most popular stop in Honduras for most foreigners, partly because of cruise ships. San Jose, Costa RIca's capital is only worth passing through. Santa Ana, the most popular Colonial city in El Salvador and Granada, the main Colonia town in Nicaragua are probably the best places to start your visit but avoid spending too much time if you have a tight budget.